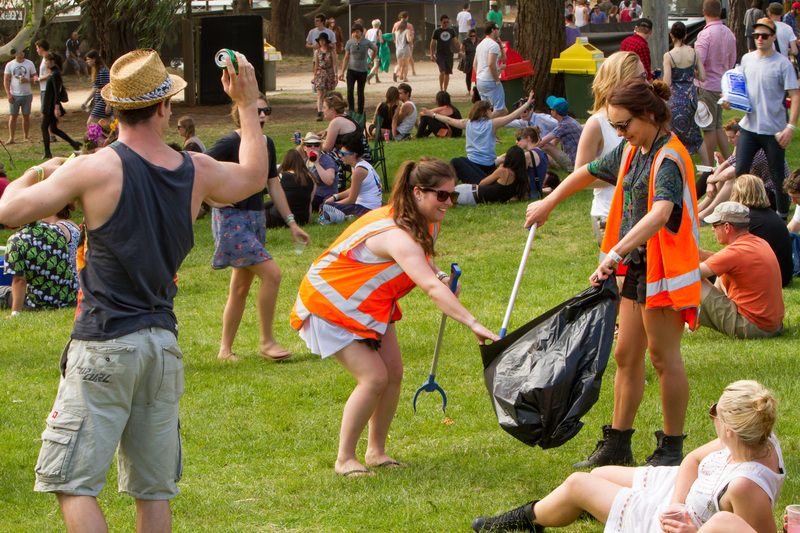 The festival has a deep and abiding commitment to doing the right thing by the land. As it is essentially a temporary city that sets up for the weekend, the opportunity is there to create a microcosm of how a society might become more sustainable. Green practices at the Supernatural Amphitheatre aren’t shouted from the rooftops, they are just DONE, so that the festival-goer actually lives in the green system for the weekend and experiences everything first-hand. 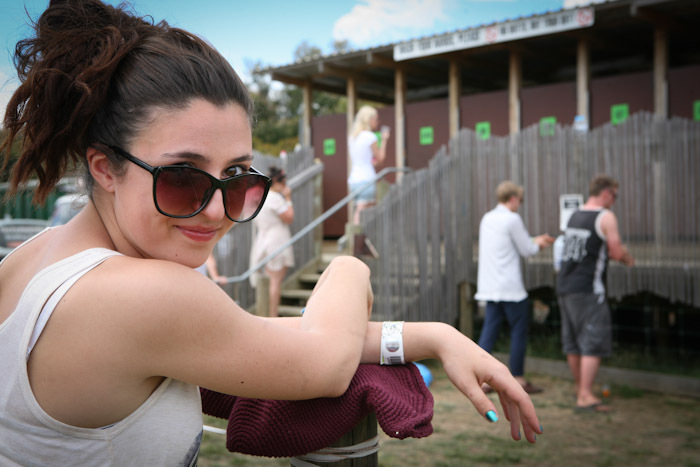 Perhaps the most obvious example of the festival’s green policies are the composting toilets. Uncle Doug has designed and built over 215 permanent, waterless, composting toilets, to exacting Australian Standards. We trialled a few of them in 2006, and by early 2008 had over 100 in operation in two permanent banks. We’ve been adding to them ever since. What a hit! Never have we had such an incredible reaction to a facility on the site. Basically, everyone loves them. They reduce smell, they don’t use water, and the end result can (after a year or so) be used to feed the land. They are user-friend-ly and enviro-lover-ly – they are private, clean and waterless; plus no pumping or transport is required. And, in twelve months time with some sophisticated but simple treatment they create perfectly safe compost to use on the site. WINNER!! Our thanks also to Natural Event. EVERYTHING that comes out of a food stall can be recycled or composted. And EVERYTHING that gets put into bags or bins before, during and after the festival gets sorted in the on-site sorting station, then subsequently divided into the appropriate stream. Please take all your furniture and tarps and tents home with you – we don’t want it and neither does Landfill. Much more too, we’ll post that all up soon enough.